Ryan Taylor took part in our Team Programme run in conjunction with the Prince’s Trust at the start of 2014. 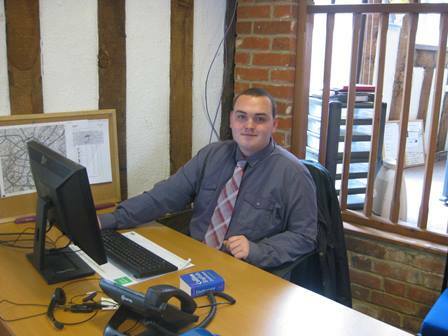 With the help of Inspire Suffolk, Ryan found his path and motivation and has a secure job at Total Car Parks. He left High School with minimal qualifications – not due to lack of ability but more to do with the consistent conflict with teachers. Ryan was eventually excluded and moved to a nearby college where he had no choice but to do a course which had no interest in him. With bills to pay and his partner who was expecting a baby to support, Ryan became self-employed and carried out some work travelling the country doing door to door sales. He experienced success for 18 months however, the demand dwindled and he was ended up priced out of the industry. After an 8-month period of unemployment, Ryan found it frustrating looking for work as being self-employed left him with no references. His partner was pregnant again and the importance for him becoming employed became ever more essential. Ryan signed on at the Job Centre and began claiming Job Seekers Allowance. It was at this time that Ryan met his future Team Leader (Andy Crump from Inspire Suffolk) in the Job Centre where they spoke about their Prince’s Trust Team programme and the value in re-gathering his career direction to get consistency for him to support his family with real motivation to get an outcome. 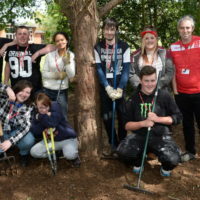 Team is our 12-week programme in partnership with the Prince’s Trust, which works with 16-25 year olds who are not in education, employment or training to support young people onto a positive path whilst gaining new skills, work experience, and a recognised qualification. Ryan admits that before the course he had not thought much about his future. Whilst completing Team Programme with Inspire Suffolk, Ryan joined a relatively young team with the motivation to make the most out of his opportunity and not waste any more time on his erratic journey since leaving education. During the first week, it was clear that Ryan would become a well-respected team member due to his calm persona. Younger members of the group quickly attached themselves to him whilst showing glimpses of being able to not only support his peers but lead in group tasks with confidence. Ryan took an opportunity with Total Car Parks for his work placement. This placement could not of been more successful and Ryan fitted straight in to the organisation and made such an impression utilising his interpersonal skills in customer service and was offered immediate employment from Total Car Parks. Understanding the importance of the programme, TCP’s agreed to hold Ryan’s offer until he completed the programme. Ryan flew through the rest of the programme, continuing to support his peers in their own personal journeys and on graduating was able to accept the opportunity of full-time employment. To date, Ryan is still at Total Car Parks. He is now working in “New Business” generating new opportunities and creating new business contacts. He has also been given the responsibility of their website and design work for the company. His MD also entered him for an award at the British Parking Association Awards, as the “Young Parking Professional of the Year” and was really delighted to be considered for such recognition. Since the arrival of his Son and his Second child, Ryan and his family have moved into a place in Ipswich and he feels really positive about his life, both family and work included. Ryan didn’t know what direction he was going to take and where Team programme would lead him, but he has found a supportive and positive working environment for him to develop within and still has plans to continue to progress within his new career. 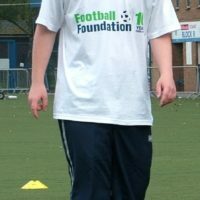 Since finishing the course himself, Ryan has supported many more Team programmes. He often visits programmes with his MD to do motivational talks about his experience to help motivate them that they can achieve and be successful just like he did. This has been invaluable as it is told no better than from someone who has experienced it already. Ryan is one of many, many success stories from our programmes. 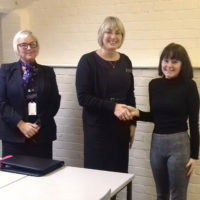 To find out more about the work that we do at Inspire Suffolk, click here.